Loftin, C.S, R.Carey, and K. Goodine. 2014. The Maine Cooperative Fish and Wildlife Research Unit and University of Maine Department of Wildlife Ecology 2013 Annual Report to Cooperators. 50 pp. Loftin, C.S, R.Carey, and K. Goodine. 2013. The Maine Cooperative Fish and Wildlife Research Unit and University of Maine Department of Wildlife Ecology 2012 Annual Report to Cooperators. 57 pp. Loftin, C.S. and R.Carey. 2012. The Maine Cooperative Fish and Wildlife Research Unit and University of Maine Department of Wildlife Ecology 2011 Annual Report to Cooperators. 57 pp. McKinney, S. T., and T. J. Rodhouse. 2011. Monitoring white pine in national parks. Nutcracker Notes 21:15-17. Fiedler, C. E., and S. T. McKinney. 2011. Effects of blister rust in two whitebark pine ecosystems: implications for restoration. Nutcracker Notes 20:14-15. Krohn, W. and C. S. Loftin. 2010. Department of Wildlife Ecology and Maine Cooperative Fish and Wildlife Research Unit Annual Report to Cooperators. 49pp. Krohn, W., and C.S. Loftin, eds. 2010. Maine Cooperative Fish and Wildlife Research Unit and Department of Wildlife Ecology 2008 Annual report to Cooperators, 43 pp. Krohn, W. B., and C. S. Loftin (compilers and editors). 2009. Maine Cooperative Fish and Wildlife Research Unit and Department of Wildlife Ecology. 2008 Report to Cooperators. Maine Cooperative Fish and Wildlife Research Unit, University of Maine, Orono. 43 pp. Schilling, E.G., C.S. Loftin, and A.D. Huryn. 2008. Effects of fish introductions on the geographic distribution and native invertebrate fauna of naturally fishless lakes in Maine. A Technical Summary Submitted to the Maine Department of Inland Fisheries and Wildlife. McKinney, S. T. 2008. Trapping Clark’s Nutcrackers and locating nests. Nutcracker Notes 14:10-11. Loftin, C.S., A.D Huryn, E.G. Schilling, and K.E. DeGoosh. 2008. Environmental factors associated with unique lake communities in Maine, Report to Maine Outdoor Heritage Fund, 9 pp. Krohn, W. B., and C. S. Loftin (compilers and editors). 2008. Maine Cooperative Fish and Wildlife Research Unit and Department of Wildlife Ecology. 2007 Report to Cooperators. Maine Cooperative Fish and Wildlife Research Unit, University of Maine, Orono. 38 pp. Harrison, D., W. Krohn, and L. Robinson. 2007. Temporal and Spatial Relationships Among Hares, Lynx and Habitat. 2007 Annual Report of the Maine Cooperative Forestry Research Unit (CFRU), University of Maine, Orono. (posted on the CFRU's web site). Robinson, L., W. Krohn, and D. Harrison. 2007. Responses of snowshoe hares and Canada lynx to forest harvesting in northern Maine. 2007 Annual Report of the Maine Cooperative Forestry Research Unit (CFRU), University of Maine, Orono. (posted on the CFRU's web site). Simons, E., K. Legaard, D. Harrison, S. Sader, J. Wilson, W. Krohn, and L. Robinson. 2007. Predicting responses of forest landscape change on wildlife umbrella species. 2007 Annual Report of the Maine Cooperative Forestry Research Unit (CFRU), University of Maine, Orono. (posted on the CFRU's web site). 2007. Annual Progress Report for State Wildlife Grant ?Environmental factors associated with unique lake communities in Maine?, 8 pp. 2007. Annual Progress Report for State Wildlife Grant ?Habitat selection, relocations, and fish hosts of the yellow lampmussel and tidewater mucket in Maine?, 7 pp. Annual Progress Report for State Wildlife Grant ?Habitat selection, relocations, and fish hosts of the yellow lampmussel and tidewater mucket in Maine?, 7 pp. Okefenokee Swamp post-fire vegetation assessment, report provided to Okefenokee National Wildlife Refuge as part of the post-fire management and recovery program. 22 pp. Krohn, W. B., and C. S. Loftin (compilers and editors). 2007. Maine Cooperative Fish and Wildlife Research Unit and Department of Wildlife Ecology. 2006 Report to Cooperators. Maine Cooperative Fish and Wildlife Research Unit, University of Maine, Orono. 43 pp. Krohn, W.B., and C.S. Loftin (compilers and editors). 2005. Maine Cooperative Fish and Wildlife Research Unit and Department of Wildlife Ecology - 2005 Report to Cooperators. Maine Cooperative Fish and Wildlife Research Unit, University of Maine, Orono, ME. 54 pp. Loftin, C. S. 2005. Landscape control of the distribution of two rare Atlantic slope freshwater mussels in Maine, the yellow lampmussel (Lampsilis cariosa) and the tidewater mucket (Leptodea ochracea). Final report to USGS-State Partnership Program, Research Work Order 47, 50 pp. Krohn, W. B., and D. J. Harrison. 2005. Canada lynx in the north Maine woods. Pages 8 & 9 IN North Maine Woods - Experience the Tradition. North Maine Woods Association, Ashland, ME. 28pp. McKinney, S. T. 2005. Trends in nutcracker occurrence. Nutcracker Notes 9:8. Bank, M.S., C.S. Loftin, and A. Amirbahman. 2004. Mercury bioaccumulation in green frog (Rana calmitans) and bullfrog (Rana catesbeiana) tadpoles from Acadia National Park, Maine, USA. Final project report to the Declining Amphibian Population Task Force. Harrison, D. J., A. K. Fuller, J. A. Homyack, and W. B. Krohn. 2003. How do clearcutting, precommercial thinning, and partial harvesting influence wildlife habitats Page 10 IN Managing for Fiber Prodcution, Wildlife Habitat, and Biodiversity: Latest Results from the Maine Cooperative Forestry Research Unit (CFRU) Research. CFRU PR 03-01, University of Maine, Orono, ME. Krohn, W. B., and C. S. Loftin (compilers and editors). 2004. Maine Cooperative Fish and Wildlife Research Unit and Department of Wildlife Ecology - 2003 Report to Cooperators. Maine Cooperative Fish and Wildlife Research Unit, University of Maine, Orono, ME. 45pp. Hierl, L., C.S. Loftin, J. Longcore, and D. McAuley. 2003. A multivariate assessment of wetland habitat conditions in Moosehorn National Wildlife Refuge, Maine. Final project report for RWO 43 Hydrological assessment of Moosehorn National Wildlife Refuge Impoundments, 163 pp. Krohn, W.B., and C.S. Loftin (eds.). 2003. Departmetn of Wildlife Ecology and Maine Cooperative Fish and Wildlife Research Unit 2002 annual report to unit cooperators. Krohn, W. B., R. L. Dressler, and G. M. Stadler. 2002. Successful integration of GAP databases into town planning: the Maine Experience. Gap Analysis Bulletin 11:48-50. Bank, M.S., C.S. Loftin, T.A. Haines, and R.E. Jung. 2003. Effects of fire history, trophic dynamics, and watershed complexity on mercury bioaccumulation and biomagnification in two-lined salamanders (Eurycea bislineata) from Acadia and Shenandoah National Parks. final technical report for the Declining Amphibian Population Task Force, 4pp. Homyack, J. A., D. J. Harrison, and W. B. Krohn. 2003. Final results from studies on the effects of precommercial thinning on snowshoe hares and small mammals in northern Maine. IN 2003 Maine Cooperative Forestry Research Unit Annual Report, Maine Agricultural and Forest Experiment Station, Miscellaneous Report, University of Maine, Orono, ME. Peckenham, J.M., S.J. Nelson, K.B. Johnson, J.S. Kahl, M.S. Bank, and C.S. Loftin. 2003. Hydrological, chemical, and landscape controls on mercury in streams on Mount Desert Island. Pages 143-152 in J.S. Kahl et al., eds., Establishing paired gauged watersheds at Acadia National Park for long-term research on acidic deposition, nitrogen saturation, forest health, and mercury biogeochemistry (1998-2002). PrimeNet Final Integrated report, Acadia National Park. Loftin, C.S., J. McCloskey, W.M. Kitchens, and M. Dusek. Changes in vegetation distributions in the lower Savannah River tidal marsh following removal of a tidal flap gate. Final Report to the USFWS RWO 41 Savannah River marsh conversion and spatial vegetation succession model assessment, 42 pp. Krohn, W. B., and C. S. Loftin (compilers and editors). 2003. 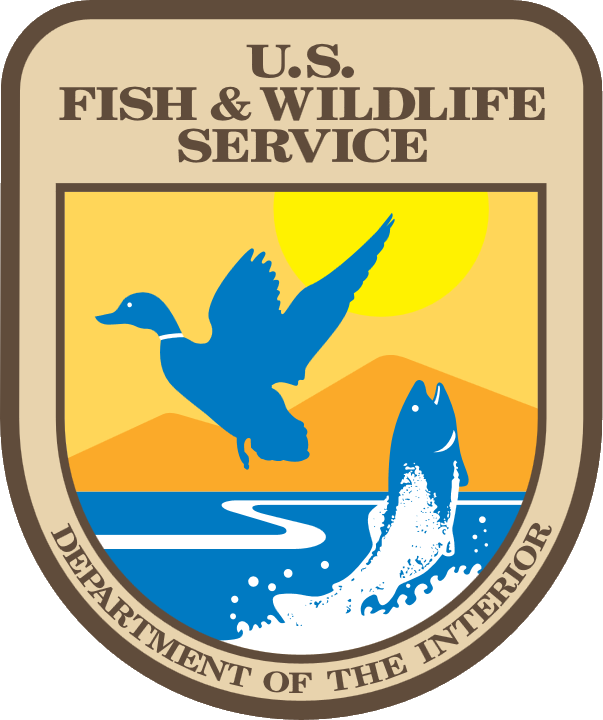 Maine Cooperative Fish and Wildlife Unit and Department of Wildlife Ecology - 2002 Report to Cooperators. Maine Cooperative Fish and Wildlife Research Unit, University of Maine, Orono, ME. 52 pp. Homyack, J. A., D. J. Harrison, and W. B. Krohn. 2003. Effects of precommercial thinning on selected wildlife species with special emphsis on snowshoe hare. IN 2002 Cooperative Forest Unit Annual Report. Maine Agricultural and Forest Experiment Station, Miscellaneous Report, University of Maine, Orono, ME. McKinney, S. T. 2002. Testing natural selection as a means of restoring whitebark pine. Nutcracker Notes 3:10, 14. Homyack, J. A., D. J. Harrison, and W. B. Krohn. 2002. Effect of precommercial thinning on selected wildlife species with special emphasis on snowshoe hare. Pages 49-53 IN 2001 Cooperative Forestry Unit Annual Report. Maine Agricultural and Forest Experiment Station, Miscellaneous Report 428, University of Maine, Orono. Rustigian, H. L., and W. B. Krohn. 2002. GIS-based evaluation system for waterfowl and wading bird habitats in Maine. Final contract report to the Maine Department of Inland Fisheries and Wildlife, Augusta. 63 pp. Homyack, J., D. J. Harrison, and W. B. Krohn. 2001. Effect of precommercial thinning on selected wildlife species with special emphasis on snowshoe hare. Pages 41-43 IN Cooperative Forestry Unit 2000 Annual Report, Maine Agricultural and Forest Experiment Station Miscellaneous Report 424, University of Maine, Orono. Krohn, W. B., and J. R. Moring (editors). 2001. Maine Cooperative Fish and Wildlife Research Unit - 2000 Report to Cooperators. Maine Cooperative Fish and Wildlife Research Unit, Univeristy of Maine, Orono, Maine. 50 pp. Moring, John R., B.C. Le, and J. Stone. 2001. Fish resources of Acadia National Park, Mount Desert Island, Maine. Final Report to the National Park Service, Acadia National Park, Bar Harbor, Maine. 92p., plus appendices. Bank, M.S., T.A. Haines, and C.S. Loftin. 2001. Preliminary estimates of habitat use and mercury content of two-lined salamanders in Acadia National Park, Maine. Abstract, Maine Water Conference, Augusta, ME. Loftin, C.S., and M. Bank. 2001. Literature synthesis of the effects of forest management activities on riparian biota of Northeastern North America. CFRU Research Note 01-01:1-4. Loftin, C.S., M. Bank, J. Hagan, and D. Siegel. 2001. Literature synthesis of the effects of forest management activities on riparian and in-stream biota of New England. UMaine CFRU Research Report 01-01 and Maine Agricultural and Forest Experiment Station Misc Report 425. 78 pp. Loftin, C.S., M.S. Bank, J. Hagan, and D. Siegal. 2000. Wildlife use of forested riparian areas in New England. Abstract, University of Maine Cooperative Forestry Research Unit Forestry & the Riparian Zone Conference, 26 October 2000, Orono, ME. Krohn, W. B., and J. A. Hepinstall. 2000. A habitat-based approach for identfying open-space conservation needs in southern Maine. Final Contract Report in the Maine Department of Inland Fisheries and Wildlife, Augusta, ME. 36 pp. plus appendices. Krohn, W. B., R. B. Boone, S. A. Sader, J. A. Hepenstall, S. M. Schaefer, and S. L. Painton. 2000 (1998). Maine Gap Analysis - a geographic analysis of biodiversity. Two CDs published by the USGS Biological Resources Division, Gap Analysis Program, Moscow, ID. (CDs being sold by the Maine Department of Inland Fisheries and Wildlife, Augusta, Maine). Moring, J. R. 2000. Atlantic salmon restoration, rehabilitation, and Federal protection. College of Natural Sciences, Forestry, and Agriculture, University of Maine, White Papers, Series 3: Maine and the Atlantic salmon. 2pp. Moring, J. R. 2000. The role of hatchery fish: a Maine view. The Maine Sportsman 251 (July 2000): 72-74.